Long known as a manufacturer of heart rate monitors, Polar has, in recent years, also produced more cycling specific technology as well. There's a developing trend for wrist-mounted tech, and specifically a 'one gadget to rule them all' mentality, nurtured by the continuing rise in numbers of multi-sport enthusiasts. 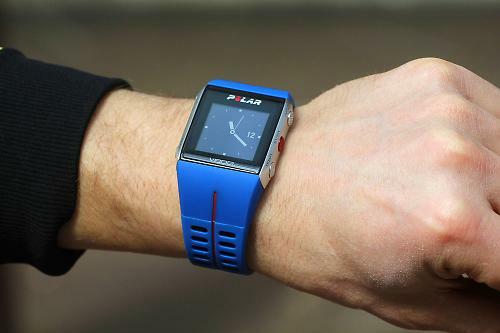 The Polar V800 Sports Watch with GPS is part of this new breed, and although there are better value, more useable cycling-specific computers out there, this genuinely does deliver on its multi-sport promises at a good price. The V800 is squarely aimed at the multi-sport market rather than being an out and out cycle training gadget. It has more features than you can shake a stick at, with standard GPS-enabled options including speed, distance and pace. 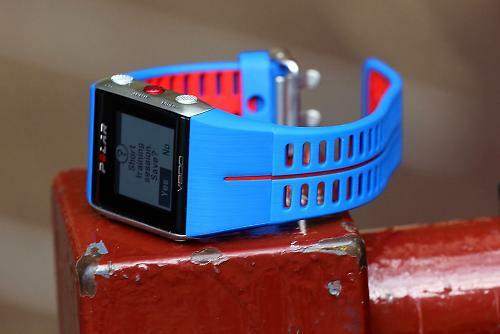 Heart rate information comes via the strap and sensor supplied with the watch. The watch is fully customisable, online at Polar Flow, with training alerts, smart coaching, activity trackers, sport-specific tailoring and predicted recovery times. Actual attachment to the bike is only an option by using an aftermarket bar-mount block. Cycling-specific functionality is increased by the V800's Bluetooth capability, meaning it will work with most Bluetooth Smart-enabled cadence sensors (there is one available from Polar at £34.50), and speed can also be non-GPS managed (ideal for indoor training use) with a Bluetooth Smart Speed sensor, which Polar does in a package together with the Cadence sensor for £54.50. Aside from heart rate, speed, cadence and so on, the V800 also makes use of its GPS enabling to provide route info in a pictorial form on the Polar Flow website, though not on the watch itself, and there is no turn-by-turn navigation facility. The GPS also enables barometric and altitude information. The data collected by the watch is definitely best viewed and managed via the Polar Flow website and software (there's an app for smartphones too). Viewing data as you ride can be tricky and it's best set up via the website to display what data you're particularly interested in, and then left to display that rather than trying to change it on the fly. The website isn't quite as easy and intuitive to use as Garmin's software, but it is far more comprehensive and customisable. The number of options available are quite mind blowing and unless you're an elite athlete, or training to be one, chances are you won't be getting even close to maximising its potential. 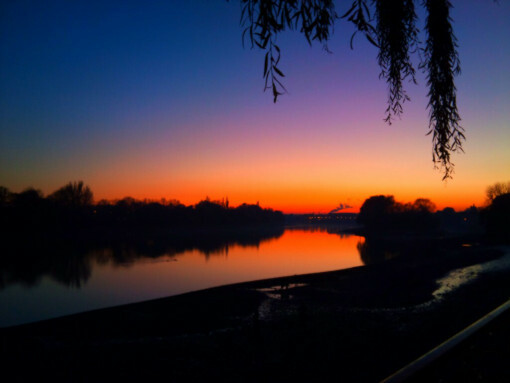 One of the most entertaining functions of the website is the 'relive' option which allows you to go through your route data as a little film, accompanied by cheesy music and clips from Google street view to make things more interesting. Endless hours of fun! 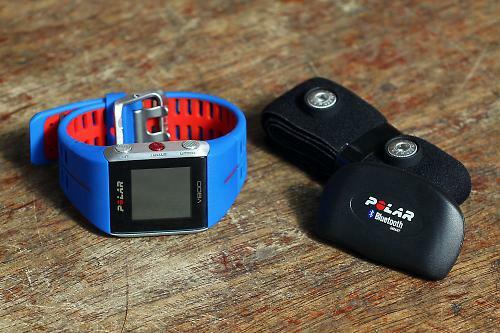 The one thing that was quite difficult to get used to was Polar's activity tracking mechanism. It was hard to see exactly what was being included as 'steps' and how. In essence, to make the most of that, you'd need to be treating the watch as a 24/7 activity tracker and it's a little bulky for that in my opinion. The GPS took a little while to pick up the requisite number of satellites but wasn't tediously long and reception was strong and reliable once it got going. Comfort levels aren't wonderful for those with a smaller wrist, but they're acceptable and the watch strap design means it does at least stay put. Comfort would be fine for a larger wrist, and the chest strap is fine. All in all, it would be an expensive and slightly inconvenient investment for cycling alone, but for those who also run, swim (pool or open water), tri, walk, or even 'other outdoor', it's a brilliant and comprehensive piece of kit. Time and effort does need to be put in, though, to really get to grips with setting it up correctly for your needs and working with its full training potential. "For professional and devoted athletes who want to reach peak performance"
Measures every training session and daily 24/7 activity. Superbly well made with a real feeling of quality and ruggedness. Can't see it going anywhere in a hurry. On a par with other wrist-top multi-sport computers. Watch was a little broad for smaller wrists but not too bad. Only really good value if you are genuinely going to use its multi-sport and training capabilities. Better value elsewhere for just a cycling computer. Very well indeed as a multi-sport computer. Design, ruggedness, comprehensive data and level of customisability. Slightly tricky to scroll through options on the watch itself. Better to pre-select settings and view on the website and leave it at that, rather than trying anything on the fly. Did you enjoy using the product? Very much indeed. Would you recommend the product to a friend? Yes, especially triathletes. The Polar V800 is an incredibly sophisticated and capable training and data analysis tool for multi-sport practitioners. It's well made and effective and can be customised to suit the individual. Not worth buying as a standalone cycling computer but really comes into its own for triathletes and those who just enjoy mixing it up a bit. Blimey. You could buy a bike for that price. Not one for the masses. I have the cheaper M400 - fantastic product. Had it for several months and used for heart rate training and general life style monitoring - can't fault it or the Polar portal. Polar are bundling it into the forthcoming (when?) M450 - essentially the same software and operation, but in a bar mountable form - announced in June but no sign of shipping as yet. A bit of pipe lagging around your handlebar and it's everything you need for a top end cycling computer! I recommend getting the Garmin Fenix 3 which at £280 (ish), blow this out of the water! The Fenix 3 does actually have the ability to give Turn-By-Turn directions, it's just a bit of a hassle to get get it to work. Aparently, soon there will be an easier method plus maybe an app to make it even easier! Plus it does everything you want a smart watch for without all the BS the apple watch brings to the market. Completely agree, does everything I need for exercising and the ability to download courses for running and cycling a new route or when travelling are great. The day-to-day watch features (timer, stopwatch, alarm etc) are continually improving and the smart-watch elements similarly. If I can get a way to quickly send standard replies to text messages from the watch it'll be perfect. I didn't think the step count would be of that much interest to me, but in reality I've found it a good additional trigger to move and walk more between 'real' exercise. No ANT+ ? Surely that's a bit of an ommission? As a loyal Customer of Polar for 30 years I feel comfortable stating that you would have to be a sandwich short of a picnic to invest in their products. They have recently refused to update the Polar Irda USB Drivers for WIndows10. By doing so they are forcing users to upgrade to newer technologies. My current kit is 3/4 years old is brilliant and does not need replacing. I do not need a bill for £600 to update all my bikes. Make your own choice in my opinion they can no longer be trusted.